I wonder if there's another pattern at play here: newly appointed captains thrive with the bat initially, responding positively to the responsibility. Over time, there is a correction - either cyclical form or perhaps because the responsibility that once galvanised, begins to be a burden. At least, hat's what I recall happened to some recent England captains, but can't offer any more empirical evidence. This is an interesting point. 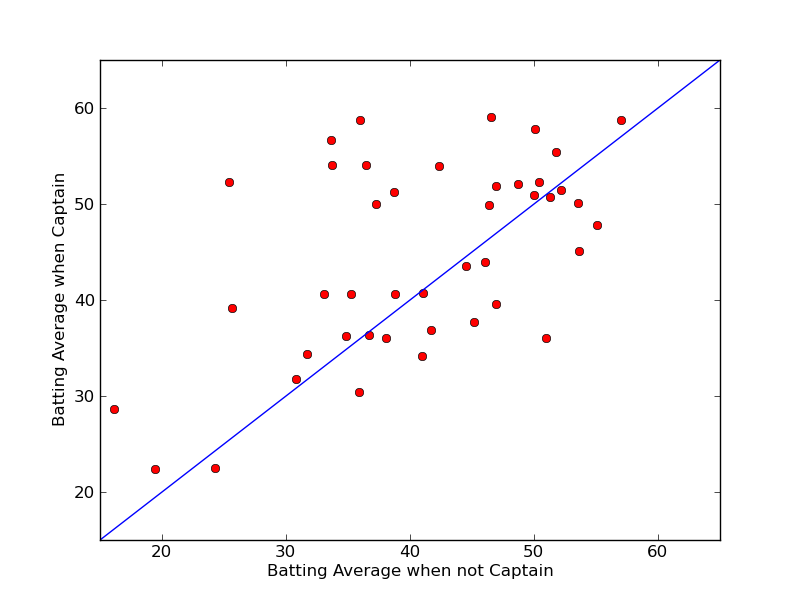 It could be worth looking at how, on average, captains do in the immediate aftermath (say 5 tests) of being given the captaincy. A good subject for a future post perhaps! Nicely done! It would be very interesting to compare with a sample of long term test batsmen who have managed to avoid the burden of captaincy. 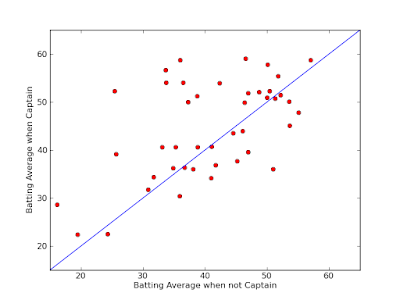 I don't know what the average number of games played before becoming captain is, but you could take that as an arbitary point at which to measure the pre and post averages of other batsmen. I think this might give an even better indication of the impact of captaincy. I just found out about this and regret not knowing sooner! Sounds amazing keep up the good work! Find the best betting games from sportsb8 for Betting or gambling games on Bitcoins.